Rabbani Mustafa Khan, son of Padma Vibushan Ustad Ghulam Mustafa Khan released his latest song Aaoni Saiyyon on Times Music YouTube Channel. Penned by Baba Bulleshah and composed by Harpriet Singh Vig, this song speaks of love, romance and longing in the most beautiful way. The video of the song features a beautiful couple realizing with every verse, how they have fallen irrevocably in love with each other. The video featuring Prerna Wanvari and Ansh Gupta – the video is a sight to behold. “Aaoni Saiyyon is very close to my heart. The lyrics, the composition and every detail of this song has been tailor-made to depict love in its purest form,” said Rabbani Mustafa Khan. 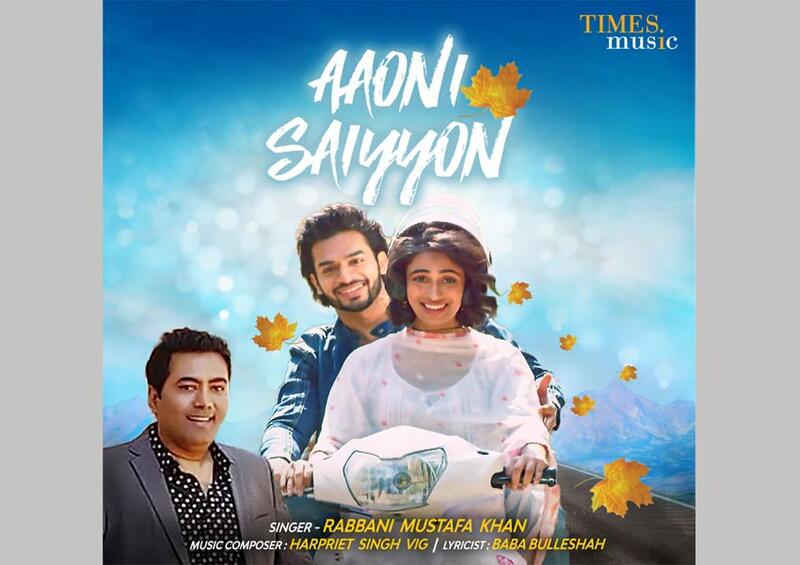 ‘Aaoni Saiyyon’ is a Times Music exclusive release and is available to watch and listen on Times Music YouTube Channel.